Mainly we professionally manufacturing the top-quality AC Compressor Gaskets, that committed to provide the best products and serve to you at the most favourable prices. We have supplied our products to many customers with good reputation for several years. So we can surely say that the quality and price of our products will satisfy you and your customers. 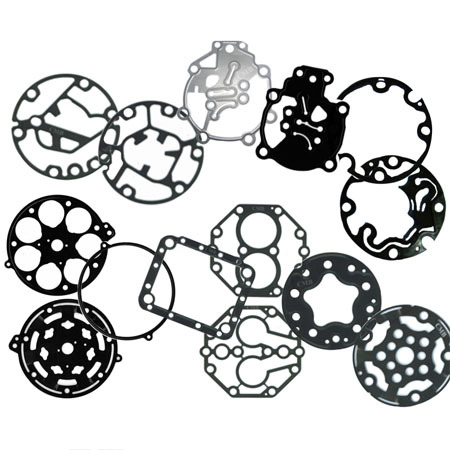 We are an experienced Taiwan AC Compressor Gaskets manufacturer, supplier, exporter and factory. Our products supplied and exported worldwide relying on our professional talent and good experience. We force to manufacture products to suit the exact requirement of our client ranging from small business to huge manufacturing units. Custom-designs and OEM/ODM services are cordially welcome. Brand new high accuracy asbestos and metal gaskets. Many different models suitable for Denso, Calsonic, HCC, Panasonic, Sanden, Zexel Compressors.